Fabric softeners make your laundry smell great and soften your clothes and linens too. Unfortunately, they can also be somewhat expensive and don't last long either, which can be a real bummer. 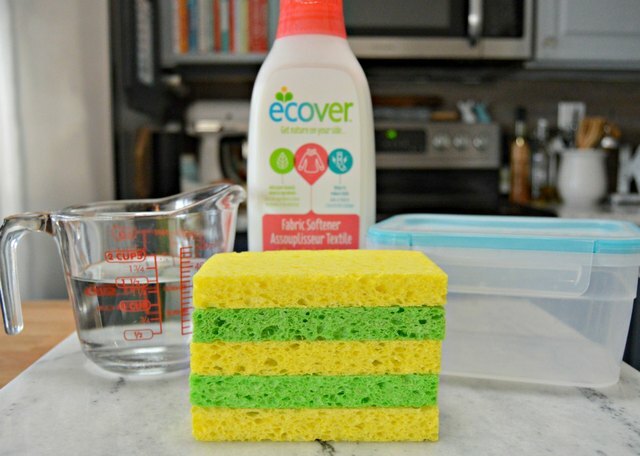 The good news is that it's super easy and inexpensive to make homemade reusable scented fabric softeners. 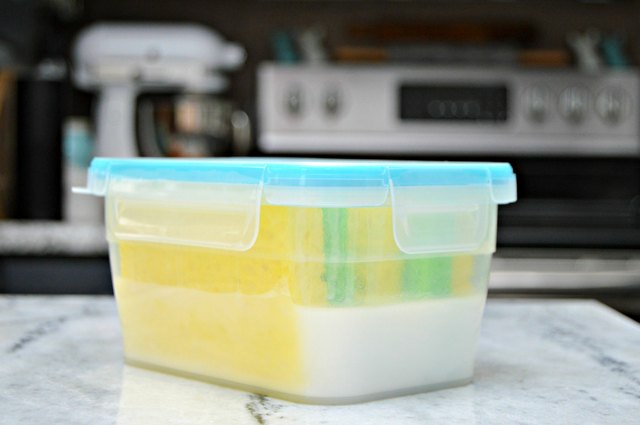 Step 1: Add sponges to plastic container. Cut to fit if needed. Step 2: Add 1 1/2 cups of distilled water. Step 3: Add 1/2 cup of fabric softener and essential oil. The lavender essential oil is optional. Lavender leaves a subtle, fresh scent on your laundry. 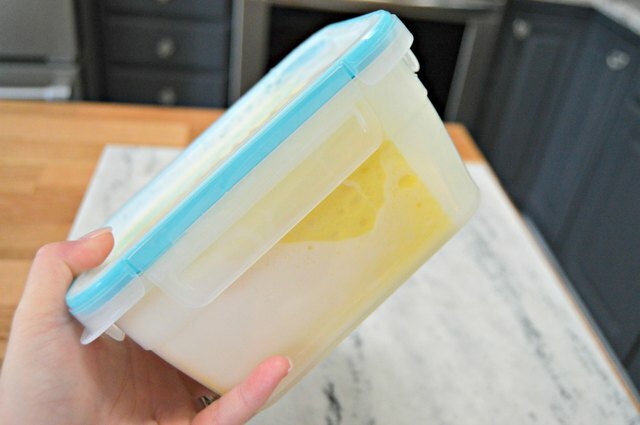 Replace lid and shake well before use. 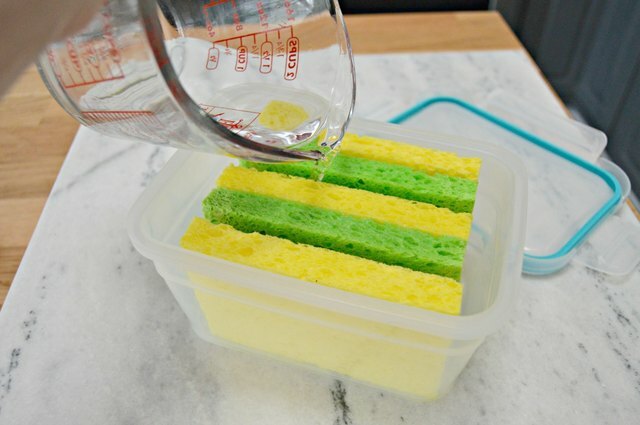 Step 1: Remove one sponge and wring it out. Step 2: Toss into your dryer. 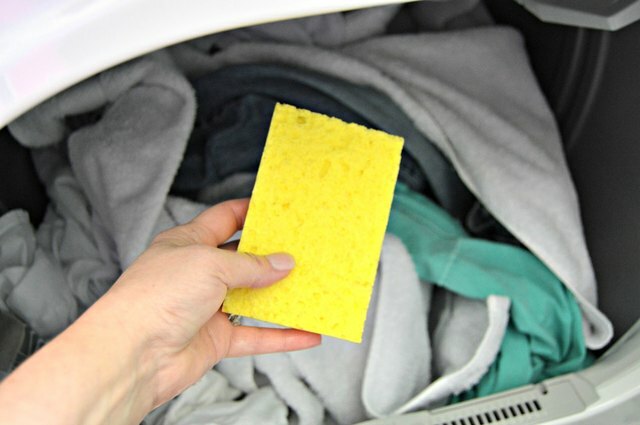 Toss one fabric softener sponge in your dryer per load in place of a dryer sheet. 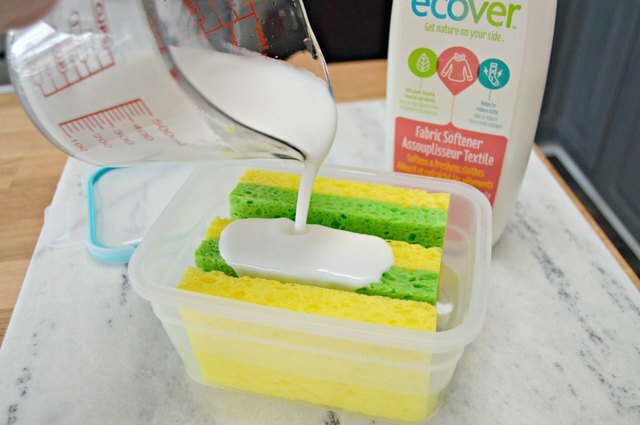 Once you have used your fabric softener sponge, just add it back to the mixture with your other sponges and allow to absorb the fabric softener mixture. 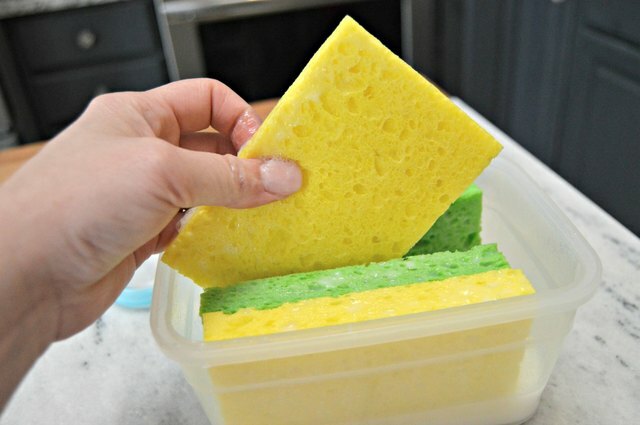 You can use each sponge until it starts to disintegrate, which is typically up to 20 times.